All coffee lovers have one thing in common: they can't stop with just a cup or two. Most of people will drink a morning coffee to start their new day because a cup of coffee brings them spirits and motivation to a long day work. Are you one of them? If yes, show everyone how much of a caffeine-lover you are by sharing our handpicked quotes about coffee. Everyday is a great day with coffee. It is a language we all understand. Survive your Monday with a cup of coffee. To some people, coffee is more important than any compliments. Enjoy your coffee and enjoy this moment. Coffee is just so important in life. Drinking coffee is a great joy. The lack of coffee could cripple a society. One of the precious things in life. Savor the magnificence of coffee. You will be in peace with a cup of coffee. Every home should be like this. It is an amazing invention. Say it like a mantra. Start your new day with a cup of coffee. It is a great happiness to enjoy coffee with a good companion. Coffee is a great invention of human being. 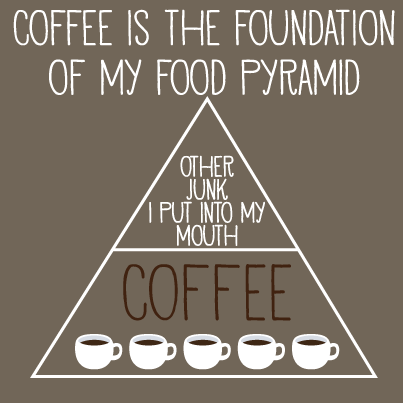 One of our list of quotes about coffee shows us the three features of coffee. Make your mind powerful. Prepare another cup.